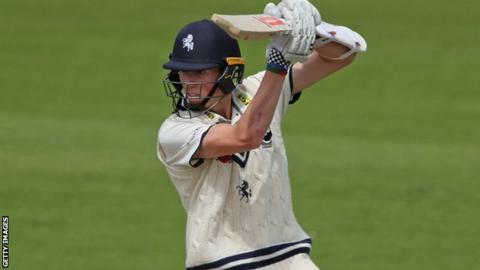 Teenage batsman Zak Crawley has signed a long-term contract extension with Division Two side Kent. The 19-year-old right-hander made 62 on his first-class debut against the West Indies in August, and then featured in four County Championship games. Bromley-born Crawley came through the club's academy and made his first appearance in the One-Day Cup in May. "Zak is an exciting talent and has made great strides this year," head coach Matt Walker told the club website. Kent have not disclosed the length of Crawley's new deal at Canterbury.